Is your child struggling in Maths and or Physics and are you having difficulty explaining the content to him or her? In this case and for several reasons, do not hesitate to find a real tutor in Maths or Physics to help your child before he/she is completely lost and can no longer keep up at school. The question now is how you find the right person or a tuition centre for your child. Here below some suggestions you should consider. 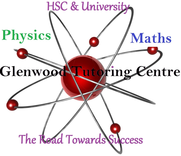 If you are after tuition centre, then contact a specialised tutoring centre in Maths, Physics and other subjects such as Glenwood Tutoring Centre to provide you with a qualified person to teach your son or daughter the discipline of your choice. Also check through their website to see if they can meet your child expectations. Look through advertising on their part, and then contact them by phone or email. For example, http://www.tutorinmaths.com.au/ or http://tutorinsydney.com/ are one of the most specialists and popular sites in tutoring in maths and physics, including university level engineering. Secondly, you have the possibility to peel the local or regional newspapers, in the classified section. Generally, this information can be found at the end of every newspaper, Glenwood Tutoring Centre sometimes lays ads, offering it’s tutoring in Maths and Physics. Another way to look for a tutor in Maths or Physics is by placing an ad yourself in the community board of the shopping centres, expressing what type of help you are looking for your child. If you can afford it, publish the announcement in the local newspapers or magazines. Also use the internet through, to email http://www.tutorinmaths.com.au/ . On the same principle of using the internet, go to specialised sites like http://tutorinsydney.com/ or http://www.tutorinmaths.com.au/ in order to communicate your request. This method is very efficient and more successful than others, and gives you a high possibility in solving your problem. Also you can talk to one of your close friends or trusted colleges and ask where their son or daughter is having a private tutoring provided to them. Of course, also check with friends who have already sent their kids to Glenwood Tutoring Centre for private lessons, and ask what they think or simply read the section in their websites called testimonials. To check on the testimonials you can ask kindly the responsible of the centre if he wouldn’t mind giving you the contact number of the parents and you can contact them directly. Private tutoring in Engineering, Maths, Physics and much more. One on One or small group tutoring.